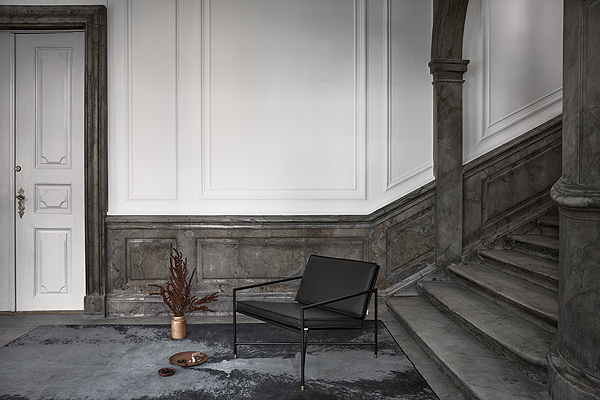 Handvark is now recognised as a major player on the new Danish design scene and unveils new finish for the Lounge Chair, by Emil Thorup, designer and founder of the brand producing stark and durable furnishings. ‘Designing a lounge chair is very demanding in my opinion, especially in Denmark where we have so many design icons that are perfectly comfortable. Now I feel ready. 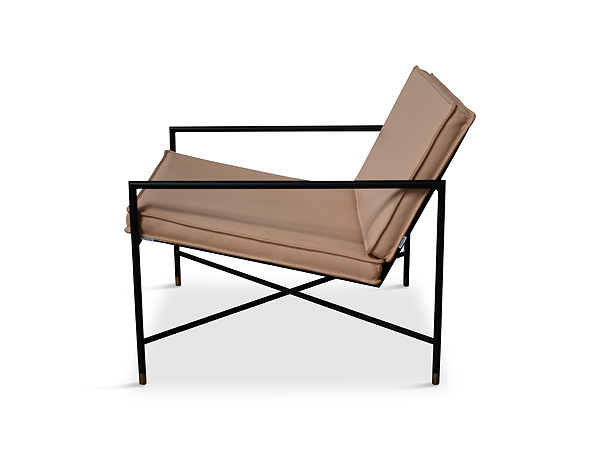 I found Handvark’s DNA with this chair that is as minimalist as our Daybed, but more elegant,’ summarises Emil Thorup. The repeated hallmarks of the brand, a black metal cruciform and tube structure, delineate a seat with archetypal and pure lines. 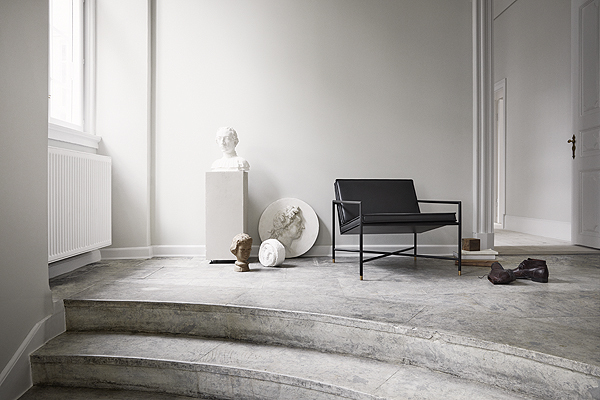 Emil Thorup was inspired by Bauhaus for this impressively elegant chair. ‘We produced several prototypes in varying sizes. When you design objects as minimalistic as this, you cannot play with the details to divert attention like the Italians do. Size is crucial to ideal proportions. Measurements and proportions are key elements to this chair,’ explains the designer. 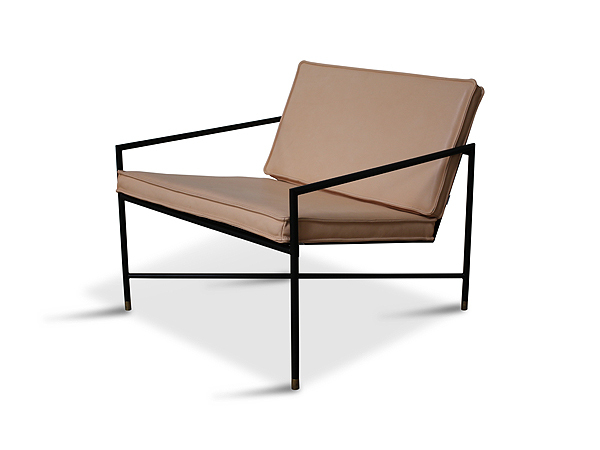 The Lounge chair is available in leather and velvet, reflecting Emil Thorup’s philosophy to only use materials that become more beautiful with age: marble, brass, leather, etc.